"ENGIE Services U.S. is the best contractor I've worked with during my twenty-five years in this business...We worked with the same team from the feasibility analysis through flipping the switch on the last solar array. The project was completed on time, savings projections are being exceeded, and there were no change orders." Huntington Beach City School District (HBCSD), located in Southern California, serves 6,800 students across seven elementary schools and two middle schools. The District prides itself on high academic standards, research-based instruction, and a supportive and collaborative educational environment. District leaders were interested in a comprehensive program to reduce utility spending and increase energy efficiency across all nine school sites, while inspiring students to learn about clean energy technologies and concepts. By partnering with ENGIE Services U.S. (ENGIE) in June of 2010, District leaders were able to bring benefits to the entire community by investing in sustainable, energy efficient technology. As part of the comprehensive approach to program development, ENGIE began with early collaboration, gathering input from the District’s stakeholders and participating in community outreach. During the first phase of work, ENGIE added solar photovoltaic (PV) panels mounted on shade structures at five campuses. ENGIE designed, engineered, and installed the solar PV systems, including five years of operation and maintenance services to keep production as its maximum. District leaders recognized that several campuses did not have many shaded outdoor spaces for students, so they prioritized making these shade structures areas where students could play and eat when taking breaks from academics. The program also encompassed upgrading interior lighting at all nine campuses, and replacing rooftop heating and cooling units, including upgrading controls. To help finance the program, HBCSD received over $1.6 million in incentives over five years through the California Solar Incentive (CSI), in addition to participating in Southern California Edison’s lighting incentive program, saving the District an additional $63,000+ in the first year. As a result of the successful upgrades during Phase I, the District selected ENGIE to complete a second phase of work in November of 2014. During Phase II, ENGIE added solar shade structures to the other four school sites, replaced all of the HVAC units on portable classrooms, and upgraded exterior lighting to LED at several sites, creating more comfortable and productive campuses. Altogether, the upgrades cut the District’s electrical utility usage by more than 30 percent. For the second phase of work, the District had much more need in infrastructure upgrades than available funding. The District leveraged approximately $1.4 million in Prop 39 funds, along with rebates, incentives, and energy savings to deliver a comprehensive program. This approach enabled District leaders to address all of the upgrades on their wish list, without tapping into the General Fund. The Envision™ program, a suite of customized, engaging educational opportunities centered on science, technology, engineering, and mathematics (STEM) and sustainability learning and application, was customized for HBCSD. The education program correlates directly to the infrastructure improvements, providing real-world, hands-on learning opportunities for students with the creation of Solar Living Laboratories for middle school students, along with professional development for teaching staff. The District has a robust preschool program, and District leaders wanted their youngest learners to be science-ready by Kindergarten. ENGIE developed demonstrations and activities for the preschool program, and conducted monthly professional development sessions for the teaching staff. Additionally, ENGIE developed a STEM program to support 6th grade students during the District’s transition from one semester of science to a full year for this grade. ENGIE brought instructional resources and professional development to help improve the depth and breadth of the 6th grade science program. Teachers and students are now able to access live data from the PV systems via an interactive website and classroom learning using this real-world data is supported through hands-on resources for solar electricity production. All of the resources support Common Core State Standards and Next Generation Science Standards. 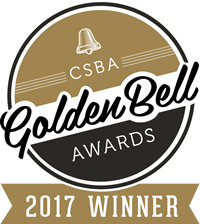 In November 2017, the District was recognized for STEM and sustainability engagement by the California School Boards Association, winning a Golden Bell award for the Envision™ program. curriculum through the unique, project-based educational approach of the Envision™ program, which allowed students to learn about solar technology hands-on. Energy savings allow the District to redirect funds originally earmarked for energy costs to be used toward academics and initiatives that directly impact students. Program implementation generated 156 local jobs. Phases I and II combined provide $16.3 million in net savings. Energy consumption was reduced in District facilities by over 2,757,000 kilowatt- hours annually, the equivalent to avoiding greenhouse gas emissions of 682 tons of waste sent to a landfill. Hi, Please send me more information regarding the Success Story for Huntington Beach City School District. Thank you!